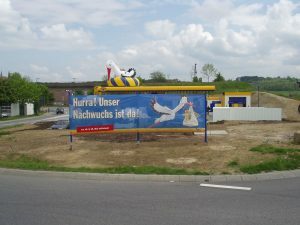 Development of a local communication strategy that accompanies the one-year process of the opening of a petrol station. The needs of the close neighbourhood must be considered as must be the interests of the employees who daily commute from regions that are further away. All means of communication must furthermore be adaptable to other locations. 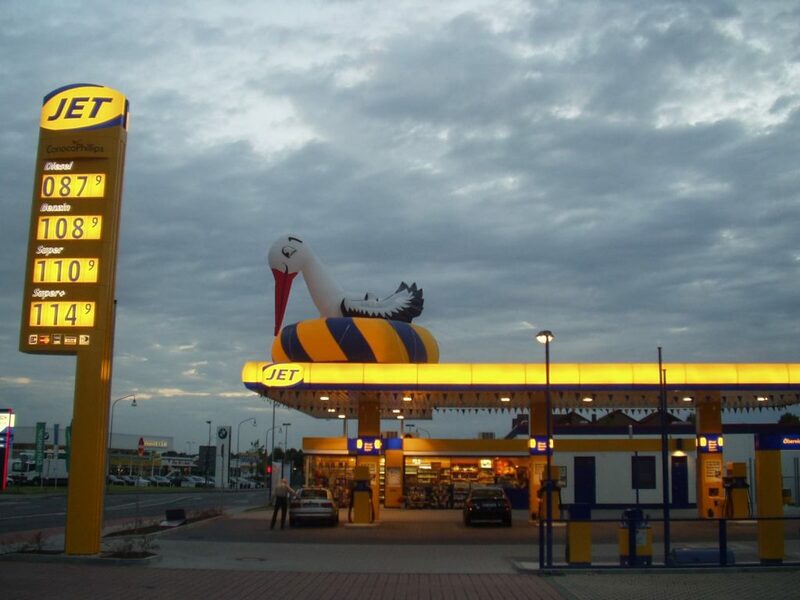 The stork as obstetrician for the young generation being the new petrol station in the neighbourhood. Everyone is filled with joy at this news. But until the arrival of the new-born, patience is needed for about one year. After all, Rome was not built in a day. Anticipation is said to be the greatest joy of all. Therefore, the time until the big event will be effectively used for various means of communication which will shorten the wait. The campaign focuses on means of communication that deliver information, make the process transparent, avoid doubts and clear up misunderstandings, promote the future “neighbour” Jet, increase the anticipation and win the target audiences of neighbours and commuters over as customers. 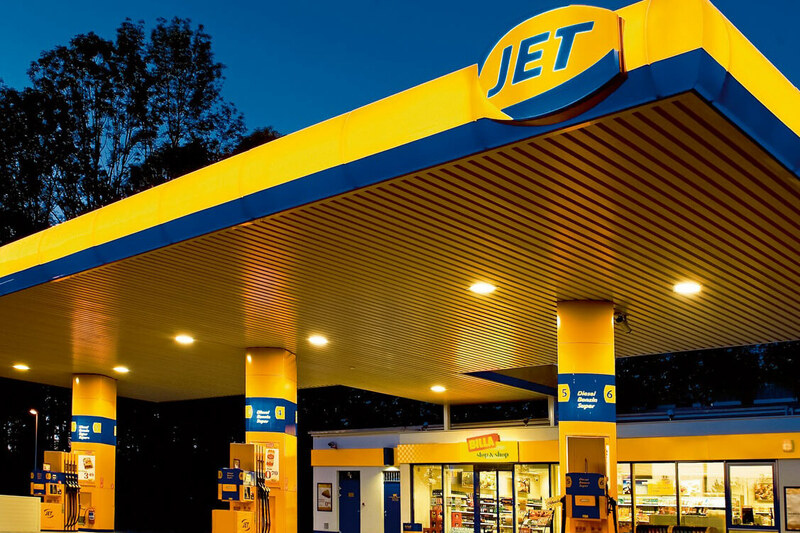 Placing banners with specific information on the construction project and on the young generation/final product “Jet Petrol Station” from the start of the construction. Showing the advantages for the neighbourhood and for commuters. Keeping the banners up to date. 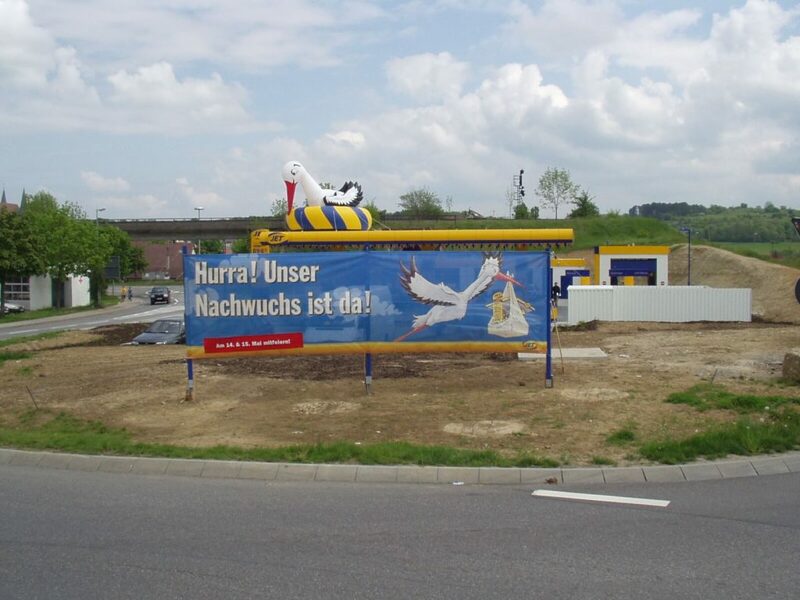 Increasing the promotional aspects with progressing construction. Frequent distribution of flyers in the neighbourhood containing the latest information on the construction process and on the final product. Active press work since the start of construction. Inviting the press and the neighbourhood to the construction site when reaching milestones. Major promotion of the opening for the duration of four days. Eye-catching decoration at the station, including an inflatable stork on the roof, various contests and games at the station and in the shop. 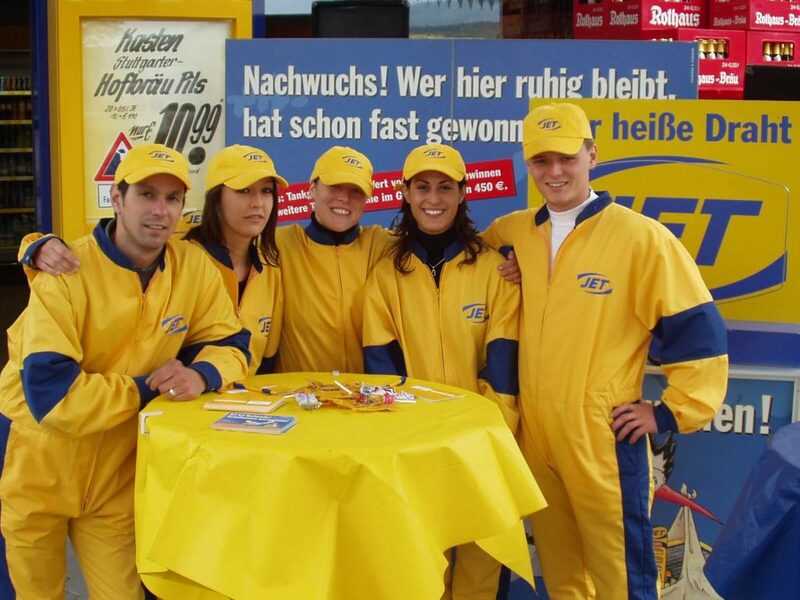 Employing flexible, exceptionally dressed promoters in the area around the Jet petrol station. Positive feedback by the neighbourhood on the informational policy. Using the long communication time frame for actively avoiding doubts and clearing up misunderstandings. Generating interest of and coverage by the local and regional press. Numerous reports over the year-long duration of the communication campaign. Attracting the attention of commuters as an important target audience considerably ahead of the opening. 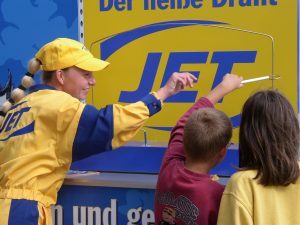 Significant increase of the revenue through a four-day opening promotion (fuel and shop). Fast embedding of the new petrol station in the memory and buying behaviour of the target audiences that are the neighbourhood and the commuters. 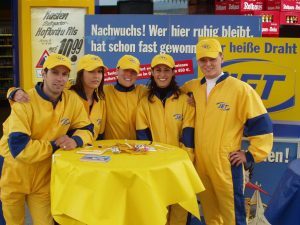 Flexible adaptation of the campaign to diverse locations across Germany.